It is recognized that special events often bring many benefits to the community. However, when these events are held in a park, Town Roadways, or Town property, they have the potential to impact the department’s resources, facilities and property. Each event has unique characteristics and will have a different impact. Therefore, events need to be considered on a case by case basis in order to promote the responsible use of publicly owned facilities and properties. 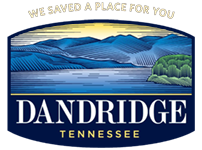 Events or planned occurrences on Property owned or maintained by the Town of Dandridge that exceed the normal and ordinary use of such property, may be considered a special events and are subject to review and approval by the Dandridge Board of Mayor and Alderman. A request for all special events for the calendar year shall be submitted by January 31st of each year. This allows the town to financially prepare for the event during the budgeting process. Any events not submitted by this date may be charged for services required if approved by the Dandridge Board of Mayor and Alderman. An Application for Special Event Permit along with the required support materials shall be filed with the Town Administrator 60 days prior to the event. Along with the Application, the sponsor must provide a map of the event showing the proposed location of all facilities and services to include, but not limited to, concessions, rides, parking, lighting, fencing, portable toilets, dumpsters, ect. The map should show any road closures, Emergency Service Routes, and trashcans. Upon approval, Event Organizers must provide a copy of Liability Insurance Coverage in the amount of at least one million dollars ($1,000,000.00) single limit, covering both bodily injury and property damage during the term of the event. A clause specifically naming the Town of Dandridge as an “additional insured” shall be submitted at least 10 days prior to the event. Any private property owners that have agreed to allow event activities on their property should also be listed as “additional insured”. Click here for copy for the Special Events full policy and application.